These 17th and 18th century Villas nestled beside the ocean have been planned for your peace and privacy. The facility is available exclusively for the enjoyment of adults over the age of 16. 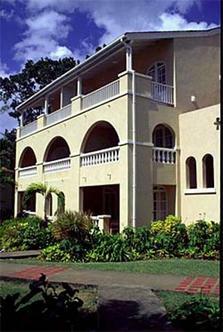 Each garden, air-conditioned unit sits adjacent to renowned St. James Beach. All Heritage guests have priviledges to the neighboring Almond Beach Resort swimming pool, tennis courts, squash, saunas and well equipped fitness center.